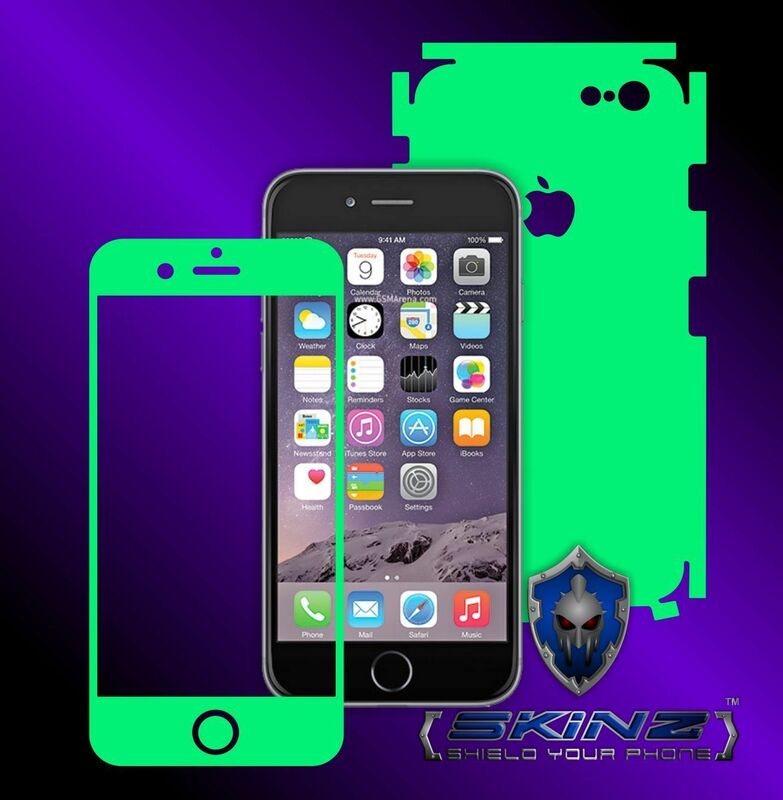 Protect your favourite gadget using Glow in the Dark Skinz Glow in the Dark films The films from Glow in the Dark range are professional monomer/polymer mixture-type multi-layered adhesive films, 200 micron thick. They are fluorescent films, white in daylight and bright green in the dark. Once charged for about 15 - 20 minutes from a light source, the films shine in the dark for several hours. Characteristics SKINZ films are very flexible and have an adhesive base. They are not electrostatic! The films protect the curvy parts as well and adhere perfectly to the device, being obtained with laser accuracy and a keen attention to each and every detail. The professional premium cast materials used are of the latest generation, therefore, they do not fade out in time, the initial colour preserving its vividness. Benefits Quick and easy application, with no air bubbles They do not add to the volume of your gadget, therefore, you may use any dock or accessory The flexibility of the material guarantees perfect fitting, free of air bubbles The strong adhesive of the film prevents any accidental displacement You may remove the film whenever you want, without any adhesive residue being left on the gadget NOTE: These are self-adhesive films to be placed on the telephone case. They are not plastic cases and do not replace any of the telephone parts. This listing is for the Wrap/Skin only not for the actual device. Package includes: - 1 x Full body Glow in the Dark Skin ( 1 x Back Sticker 1 x Front Sticker Bumper Guard Stickers ) Please be advise ! This package does not include Screen Protector ! If you wish this kind of package please visit my listings ! We ship only from Monday to Friday 10-18 GMT2 hours. We are not able to ship in weekend because the postal office is closed. Our products are shipped in envelopes. Most of the time you will receive it straight at home. If the product will pass thru custom office, the custom fees will be payed by the buyer. Many thanks for your understanding and Thank You for choosing X-SKINZ.